In 2011 and 2012 I teamed up with the Beatplantation and developed an immense rolling ball sculpture / installation. 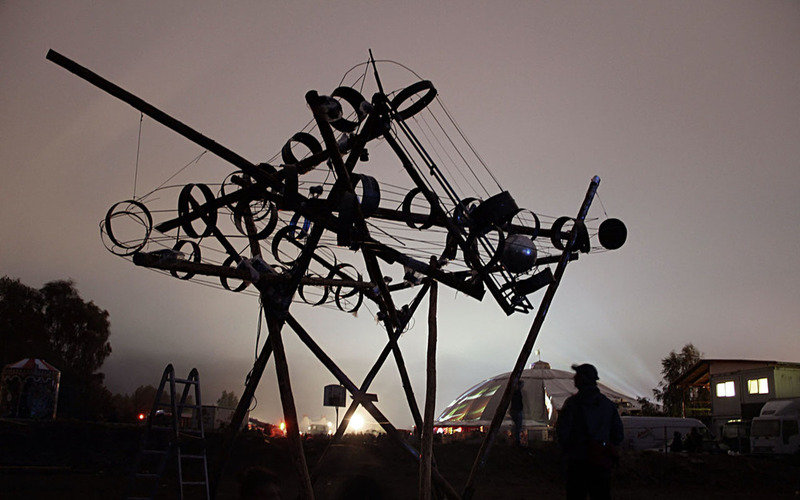 The result is a deliberately over-engineered and overdone machine that performs a very simple task in a very complex fashion, an installation of massive dimensions, brutal, steampunk-style. From a control panel you can interact with the machine, steering the motor, lights and steam while a series of reactions and sounds are triggered along the trajectory of the ball. The physical shape is inspired by engineered structures and architectural metaphors.